Corporate workshops and Team building programs. Add a spectacular visual element with a fire show choreographed to the energetic rhythms of West Africa. Our single session workshops offer drumming, dancing and singing as standard, though we can easily adapt to suit your specifications. All of our facilitators are experienced and unique performers, each with their own story and style. Usually, we kick off with a short performance and introduce ourselves, getting everyone excited about the music. We move into the fun quickly with drumming, teaching African rhythms, musical games, and a great jam. 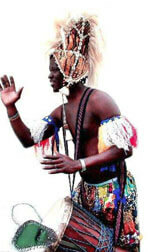 We’ll get them grooving too, with some tribal dancing and singing included along the way. At the end of the session we have question time, where students can ask the facilitator about their background, culture, music and about Africa.